Combining machine learning and big data is nothing new, but it can take analytics-heavy processes to the next level. In fact, by 2022 it’s predicted that over 40% of all large enterprises will have combined big data and machine learning functions to either support or replace traditional monitoring, service desk, and IT support processes – compared to just 5% in 2017. But while the benefits of increased data-driven insights are obvious, many IT leaders are unsure how to get there and where to get started. 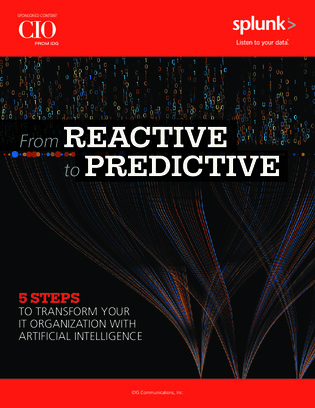 Jump into this guide to learn the five steps it takes to get started on a big data and machine learning infused IT operations strategy – without getting bogged down with too many tools and competing IT priorities.